A large part of my life revolves around rescue work and caring for my ever-rotating menagerie of dogs. 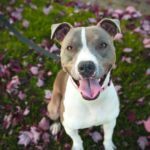 I have become accustomed to the many questions people have when they find out that I not only foster dogs, but I purposely choose to “foster” dogs that are nearing the end of their lives. I put foster in quotes, because for many of the dogs that we take in, we know that they will not find another home. 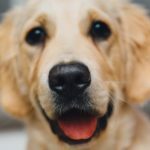 The number one question I am asked is, “How can you take in a dog that you know is going to die?” The answer to this question is simple: If I don’t take in this dog, chances are very good that no one else will and the dog will die prematurely, perhaps never having known love or proper care. Today I will share my story of how my husband and I became involved in foster dogs and will provide tips on how you can welcome a senior dog into your home. Even though I had grown up with dogs my entire life, I never had a dog of my own until I was 25 years old. One day, after a particularly stressful week leading up to my candidacy exams in graduate school, I decided I needed. Truthfully, this decision would be ill-advised in most cases. I was a graduate student who had no idea where she was going to be living in the next 3 years, I was putting in 12+ hour days at school, and I lived in an 800 sq. ft. apartment. But, something kept telling me that I needed to have a dog in my life again. I went to the Humane Society in Bloomington, Indiana that day. I wanted a large (50+ lb) male, senior dog. I had always had large dogs growing up, and a senior pet seemed like the perfect fit for my current lifestyle. Plus, I have always felt drawn to senior animals. After taking each dog that met my criteria into the yard to play with, I realized I wasn’t making a connection with any of them. One by one, I met every single dog in the shelter that day. The very last dog – the one I had looked over each time because she was opposite of everything I wanted (young, small, female timid) – was eventually the one that came home with me. I had no idea that Sadie, a 2 year old beagle mix, was about to change my life. I could easily write an entire post about Sadie, but this post isn’t about my crazy beagle. Having adopted her is important to the story, though. Over time, Sadie revealed to me that she had many quirks. She was playful, but only wanted to play on her terms. She wasn’t food aggressive yet would try to steal food from other dogs. She had resource guarding issues when it came to sharing my attention with other dogs. She was overly dominant with other dogs, but completely submissive with humans. She had the strongest prey drive of any dog I had ever seen. In short, she was completely capable of making life challenging. What if Sadie didn’t get along with the foster dog? What if we became attached to the dog? What if we didn’t do a good job fostering? I remember sitting in the living room with my husband, phone in hand, going back and forth on whether we should call the rescue and tell them we would like to become dog fosters. I was certain this was a great idea, whereas my husband was more skeptical. Ultimately, we made the call. As tends to be my nature, I immediately chose a fostering assignment that, in retrospect, was probably over our heads. 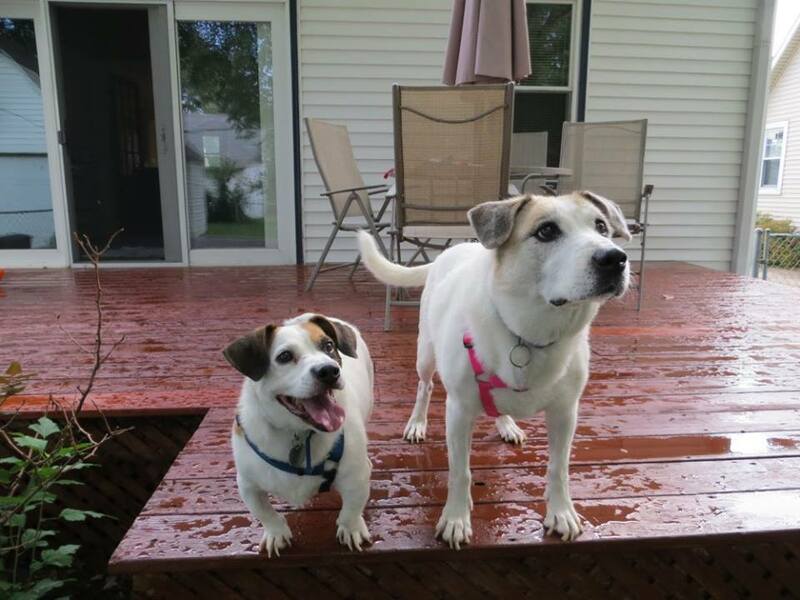 We took in Milkshake and Willie, a 13 year old bonded pair whose owner had passed away. 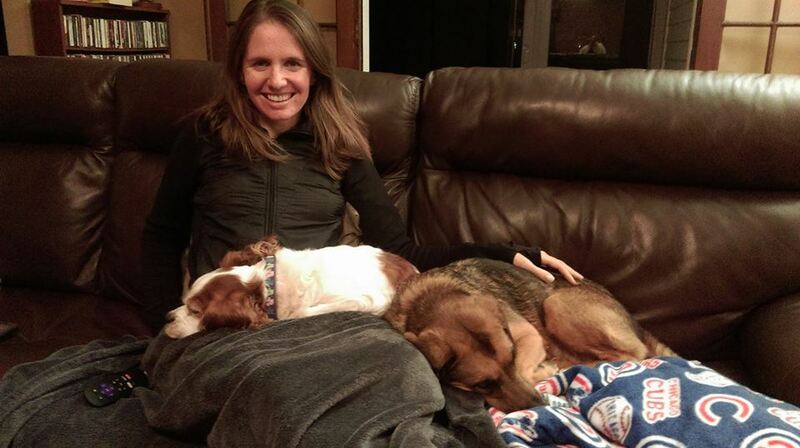 These dogs had been in foster care for almost a year, and the current foster needed a break. For us, it was love at first sight with these two dogs, but Sadie also had to approve. We set up a meeting time, and it didn’t go well. While Sadie was calm and playful with Milkshake and Willie, Milkshake was less sure. She barked, lunged, and growled at Sadie. I figured everything would work out, but my husband was skeptical. I begged him to let us give fostering a chance. He finally agreed. It was the best decision we have made. As a first time foster, my biggest concerns were the health and safety of all the dogs in our household. I admit that I obsessed over these details too much in the beginning. I wish someone had given me a manual on fostering! These are my top tips, no matter the age of the dogs for whom you are caring. 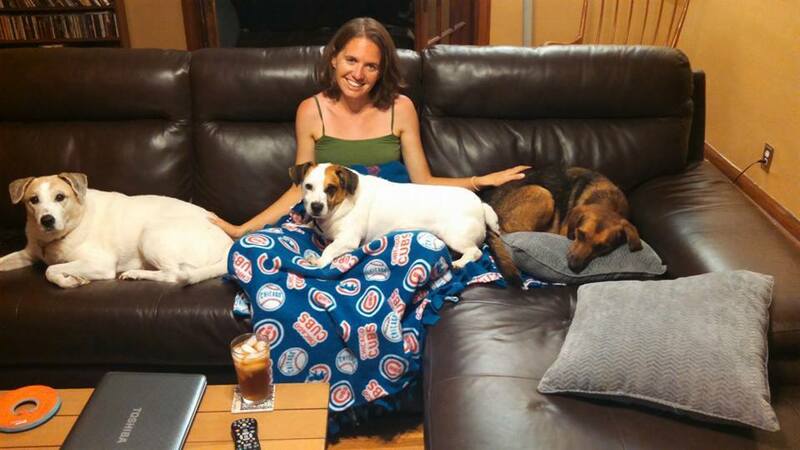 We were initially nervous to have dogs in our home because we were unsure how Sadie would react. It is imperative to go slowly in your introductions. Do not expect the dogs to immediately be best friends and continue to use caution even if they are. What we quickly learned about Sadie is that she is terrible at sharing, but is otherwise very playful. Until you know exactly how the dogs will react around one another, do not leave them alone together for extended periods of time. In our case, each dog is placed in a separate bedroom when we leave home. 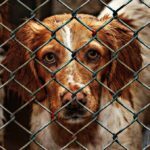 Many people return foster dogs after only a few days because they mistakenly believe the home situation is not going to work out. Most dogs simply require an adjustment period (anywhere from a few days to a few weeks) before they fully acclimate to their new lifestyle. If there isn’t immediate harmony, don’t panic. Unless a dog attempts to bite another dog without warning, chances are that any differences can be reconciled. It is tempting to immediately shower your foster dog with love and attention. However, dogs need time to adjust to their new surroundings. Allow your foster dog some alone time, especially in the first few days. Sometimes, people are concerned they shouldn’t foster because they don’t have a lot of space, aren’t home during the day, or are worried the resident dogs will be sad. The truth is that a short term imperfect solution is far better than euthanasia. 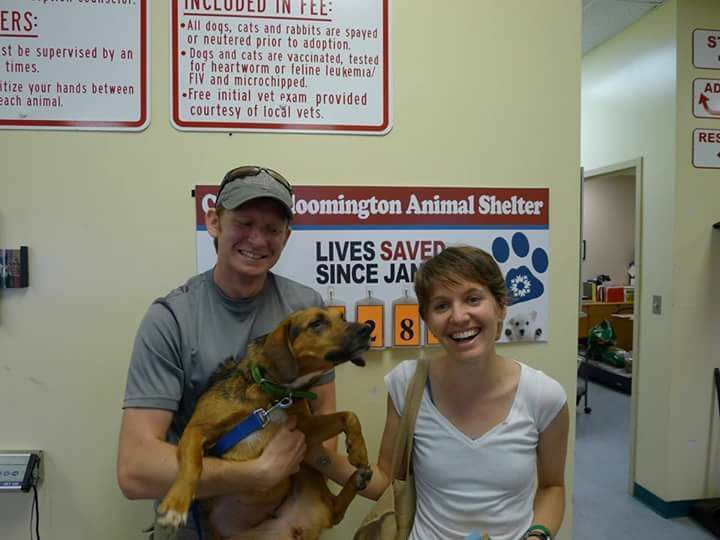 Rescues try their hardest to get dogs adopted as quickly as possible, but it never hurts to help them out. Network your foster dog every chance you get. Have your foster dog wear an “adopt me” vest. 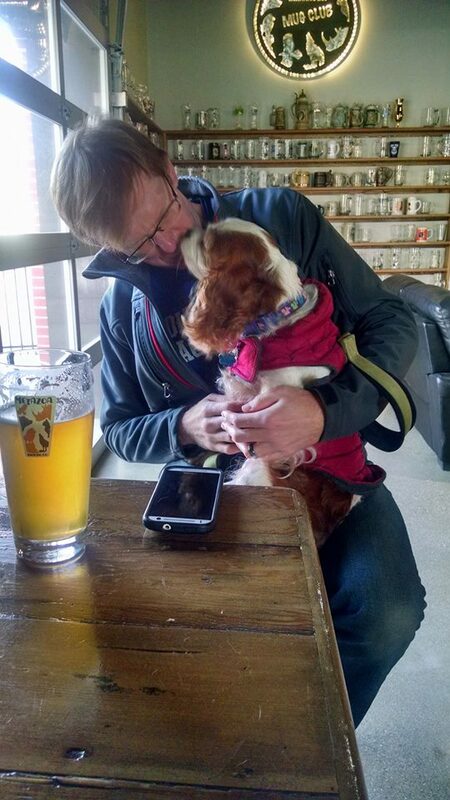 Take your dog out in public frequently and share the dog’s story with everyone you meet. What was it about Milkshake and Willie that made us realize senior dogs were for us? First of all, it broke my heart that these once-loved, loyal dogs suddenly had their lives turned upside down. No senior dog should have to live out the rest of its life in a shelter, or worse, be euthanized due to an owner passing away, moving into assisted living, or deciding that a playful puppy would be more fun than a sleepy senior. Second is the amount of love that seniors have to give. Each senior dog we have taken in seems to “get it” more than a puppy or middle-aged dog. They know they’re nearing the end, and they are genuinely grateful to be put back into a lifestyle that is more familiar than a cold shelter floor. Third, there is no greater feeling than helping a senior dog thrive. Oftentimes, senior dogs are overweight and under exercised. Many people don’t realize that if a dog has arthritis, light activity is actually very good for the pet’s pain. Others tend to give up on seniors and treat them as though they are incapable, simply because they are a little slower. Nothing is more rewarding to me than treating a senior dog like a puppy and watching it learn how to dog again. 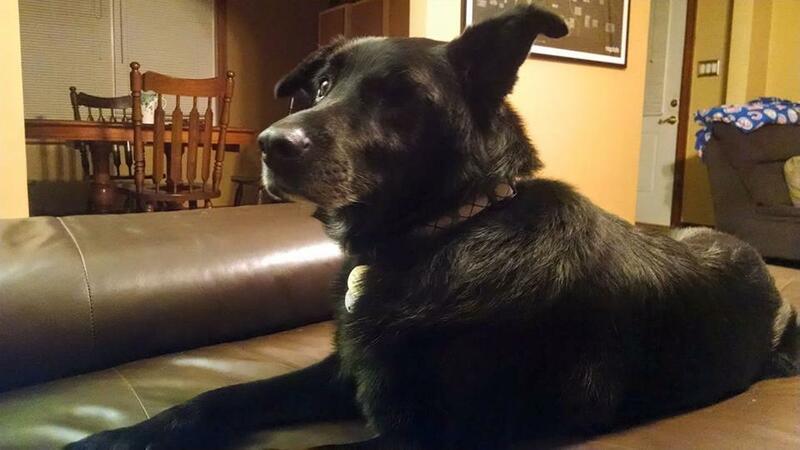 For instance, we once took in a senior lab / chow mix, Smokey, after his owner passed away. He came to us barely able to walk down the driveway. He passed away 18 months later, but that last week of his life was the best one we had with him. During that week he went for a 2 mile run, did a 3 mile walk on Halloween and received attention from all the children we passed, and many of his favorite friends stopped by our house to give him their final regards. He was deaf, only had one eye, and had cancer, but if you had met him that week you never would have known just how little time he had left. Finally, senior dogs are best for our household. We have a small house – about 1,200 square feet – and Sadie is extremely energetic. We have found out the hard way that two (or more) energetic dogs don’t work well for us. Most importantly, though, is that senior dogs are a good match for Sadie. She is very playful, but only wants to play on her terms. The seniors we have had will play with her if she initiates, but do not initiate back (something she hates). She also requires dogs that are submissive. In our experience, the seniors (even the cranky ones) try their best to stay out of her way. Simply put, a senior dog is more likely to get sick than a puppy. The good news is that rescues will pay for necessary medical care. We have dealt with cancer, ear and eye infections, chronic tick-borne illnesses, and arthritis with our senior dogs. The silver lining is that I have learned a lot about caring for sick animals. I now have a wealth of medical knowledge that I can share with friends and family members with sick dogs. I have been extremely fortunate that our seniors have been great about taking medications and allowing me to do things like clean their ears, apply ointments, and administer eye drops. I always treat medications and treatments positively, making the dog sit, shake, lie down, etc. before giving them. They are always followed with a high value reward. Senior dogs are likely to have experienced a lot of changes if they are need in of fostering. Sometimes it can be challenging to help these dogs adjust to a new way of life, without their favorite humans. The best way to help them is to balance giving them space, but also a lot of love and kindness (and maybe a few extra treats). Of course, the hardest part about bringing a senior dog into your home is that you know you have a limited amount of time together. But, simply knowing this is the case can help you live each day to the fullest, and give you a greater appreciation for life. Few stray dogs live to be seniors, which means most senior dogs are ones that have lived with a family. The majority of seniors are well-behaved and housebroken. 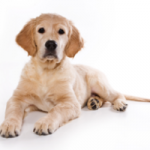 As dogs age, their metabolisms slow and their energy levels decrease. In our household, we can only take in calm dogs. 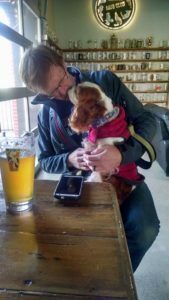 We have many factors that would make fostering multiple energetic dogs difficult: including a small home and a husband that travels frequently for work, making it difficult for me to provide enough exercise for the pups by myself. Most of our seniors have been content to lounge, eat, play a little bit throughout the day, and sleep! The adage who rescued who? could not be truer for someone who fosters senior animals. Every dog that comes into your home will teach you something about life, love, and happiness; but, this sentiment seems most suited to seniors. I have learned important lessons about redemption, unconditional love, faith, fear, and grief through my experiences with these amazing animals. A senior dog will be happiest as part of the family. Remember that a senior might be used to a different lifestyle. Let the pup onto the couch, into the bed, or onto your lap. Even if he or she requires a little extra help to get there, the dog will be eternally grateful. Never get too far ahead of yourself when caring for a senior dog. Life can change in the matter of a few days for seniors. Hoping for the best – but mentally preparing yourself for the worst – can make senior dog care easier. Celebrate small time intervals (days, weeks, months) as if they are big milestones. Not all our senior fosters stayed with us until their final days. Some have been adopted, which has allowed us to take care of other senior pups. Be judicious with your networking circle. In most instances, a well-to-do family with disposable income would be a better fit for a senior dog than a college student living on Ramen noodles. Finally, don’t treat your senior dogs as though they are old and/or sick. For each of our seniors, people have always been incredulous about their age because they never act old. In general, we take them on the same walks and runs that we take Sadie. Our dogs aren’t coddled just because they’re old, which seems to make them look, act, and feel younger! What a wonderful post Anna! It takes a special person to foster senior dogs. It can be very satisfying to giving a dog the chance for love to the end. I have always thought about fostering dogs. I have never thought about senior dogs for end of life care. I’m not sure this would fit out lifestyle right now but something to think about once our kids are out of the house. Thank you opening my eyes to a not so thought about need.